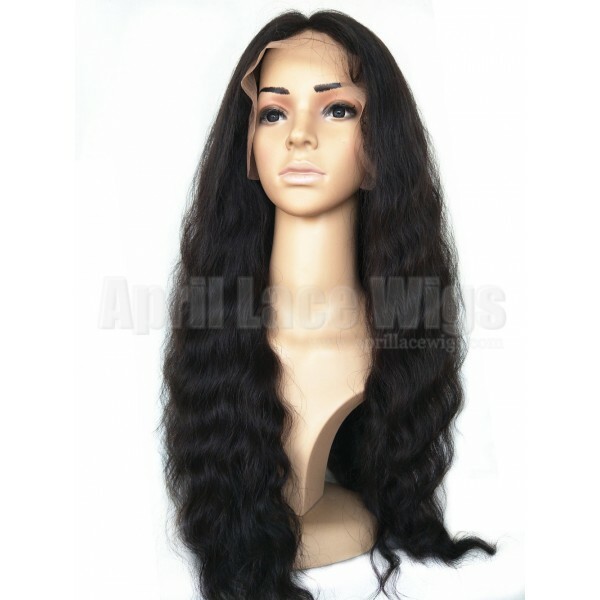 1.This wig hair was processed by 100% Malaysian Virgin hairs, which means the hair with cuticle, root and tip run in the same direction. 2. It is a complete human-made wig. 3. Tangle-free; A little shedding; Bady hair and bleached knots in perimeter! 6. 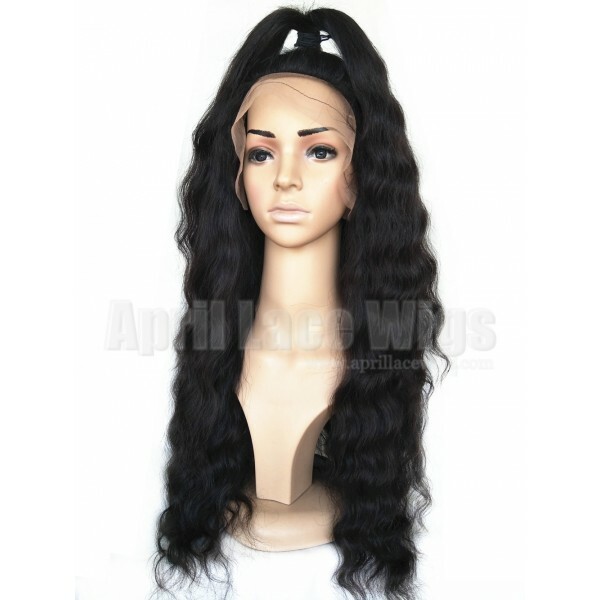 This hair can be curled, straightened, (pls keep the temperature under 200 degree) and professionally colored. So u can dye it, curl it, straighten it! 150% density, very full and gorgeous! U can do updo, half down, u can do a ponytail! Silk top in the top gives an illusion of real scalp! 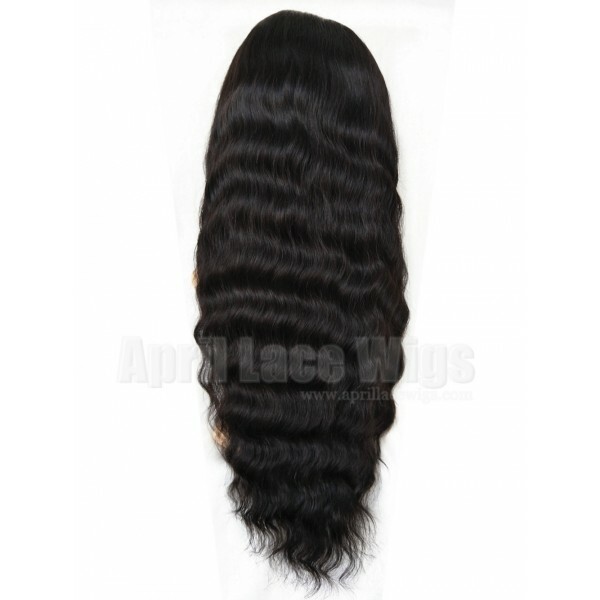 It gives you very a natural looking, like the hair is growing from your scalp! 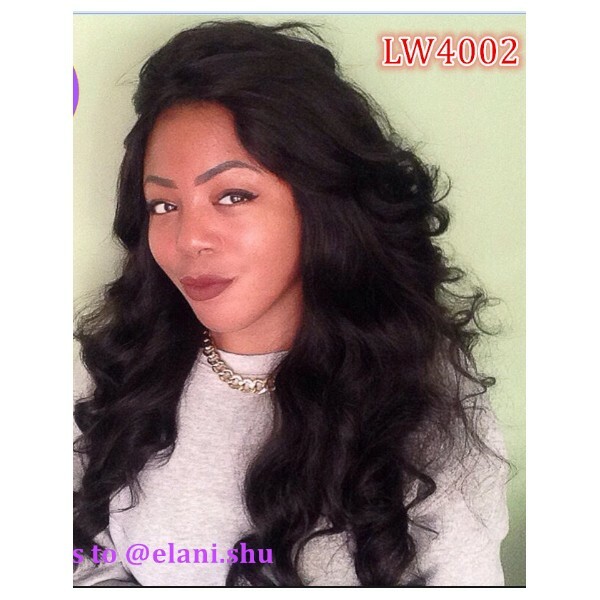 It is full lace wig, u can part it anywhere! 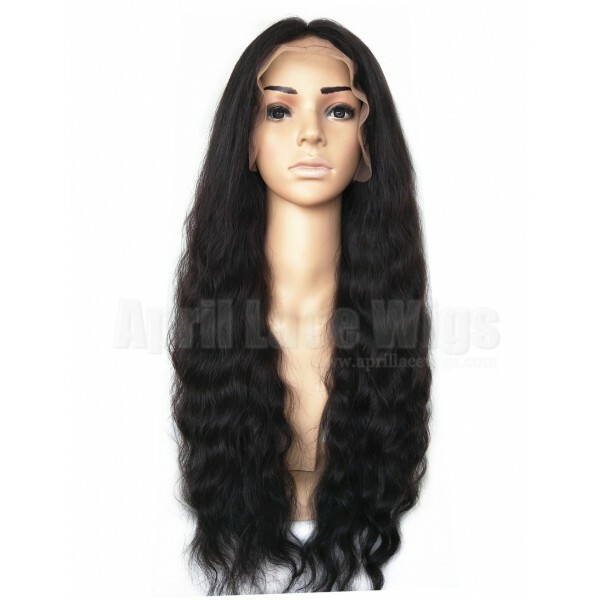 stretch in the back, very breathable and stretchable. and combs/clips sewins to secure the wig cap. Bleached knots in the perimeter. u can spray it mixed liquid (coconut oil with water) it will become smooth and gorgeous. 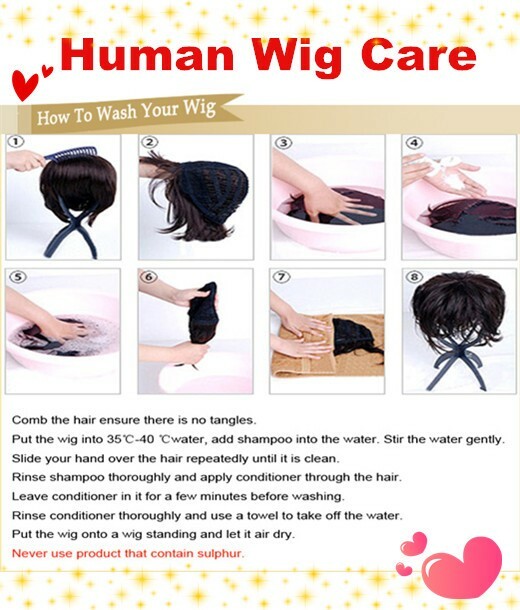 3. when cleaning wig, pls keep the water temperature in 40-50 degree. 2018-11-05 Angela .... WIG IS PERFECT after I bleached the knots and shampooed it. The wig is VERY THICK, & VERY good parting space. 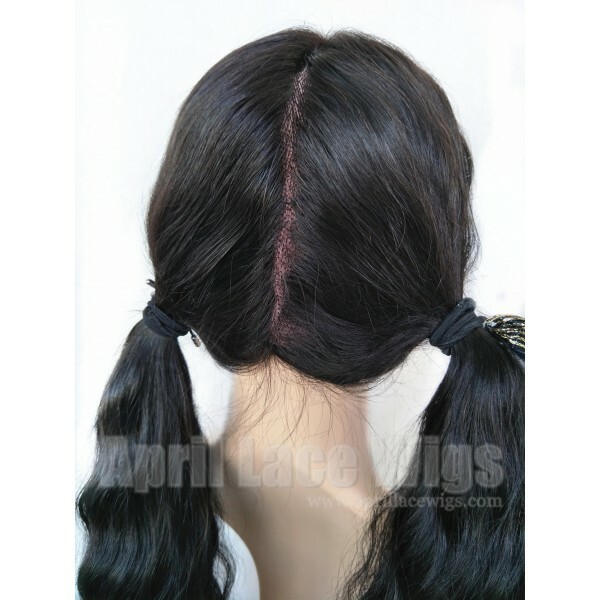 I purchased this wig to put tribal braids on I will do a additional review after braids are installed..... THANK YOU!!! 2018-11-02 Nneka .... I LOVE THIS WIG!!!! There was absolutely no shedding. I got so many compliments on this wig. 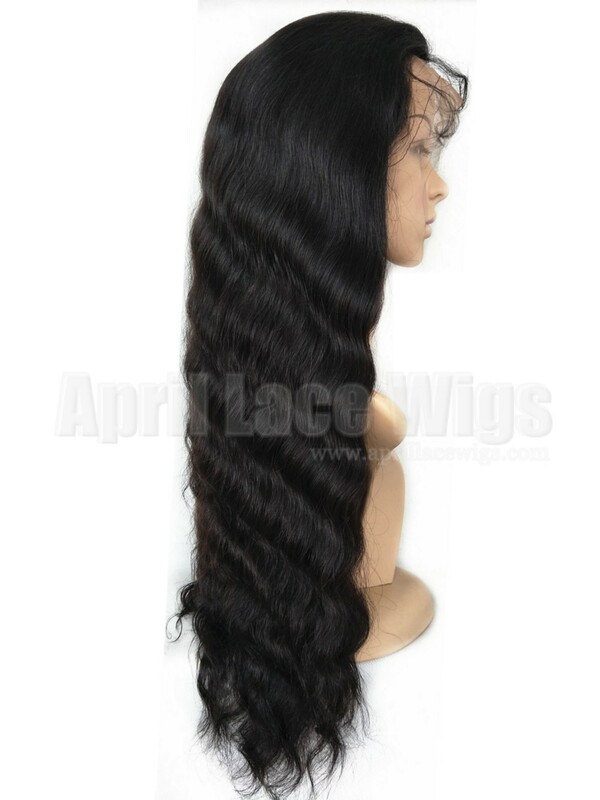 The parting is natural and many people actually thought it was my real hair.....IT'S DEFINITELY A MUST HAVE!!!!! 2015-10-21 Alexandra .... I ordered this on Friday night. It arrived on Tuesday morning on east coast USA. It's beautiful! Much thicker than I imagined though. Guys, she is THICK! I love it, this way even if a little shedding should occur I am still OK. Hairline is natural looking. 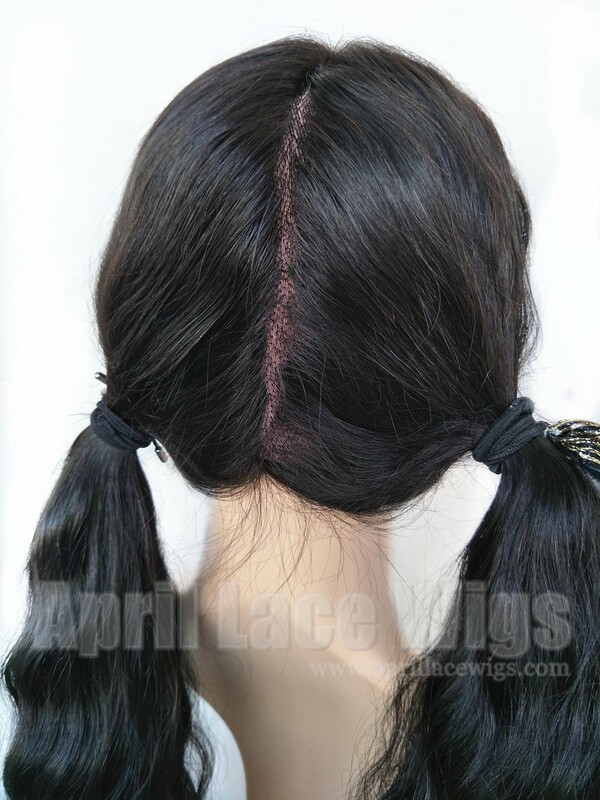 No bump from lace front to silk top, very smooth transition. She is cut and styled and I am rocking her now. Very natural looking. Not too shiny, so it looks natural. The natural color they sent is very dark. Between a 1b and 2. Will definitely order again, but get her with 4 and 6 highlights. 2015-10-10 Keiya .... 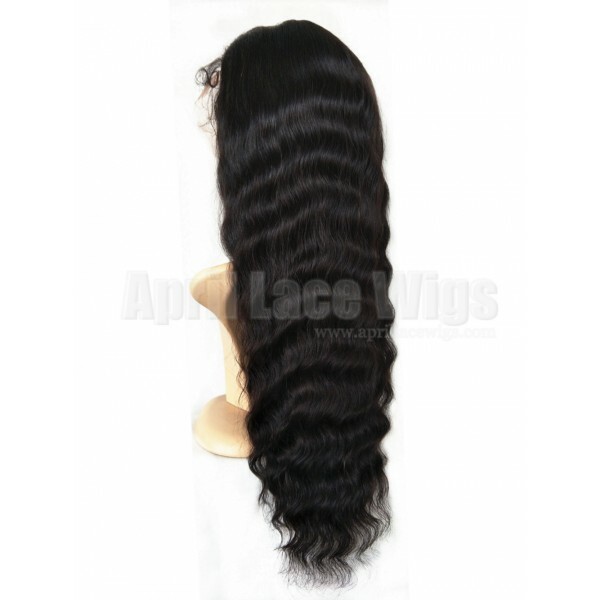 I'm so in love with this hair, the hairs are very full and soft, no shedding as I ran my fingers through the hair, Fantastic quality! 2015-07-21 Gabrielle .... okay So I've dyed the wig with regular walmart garnier dye for like 6 bucks yeah i know. I'm cheap. but it looks nice i HIGHLY recommend going to a Professional!!!!! But it looks very nice considering i spent 12 bucks total. It looks very natural. I always get compliments my boyfriend who is white still wont believe that it is a wig. I use a wigrip thing i bought on amazon for like $10 and a cushion gel wig band over the wigrip that cost $25. 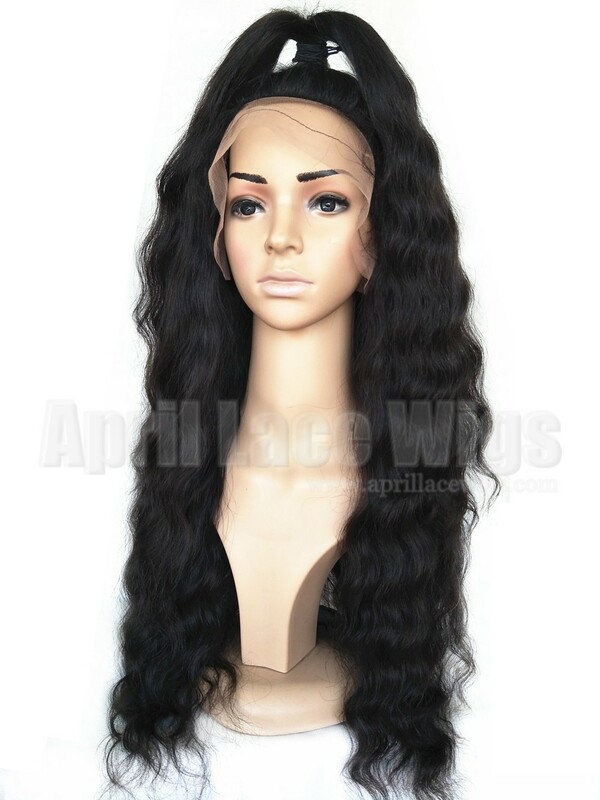 Would I recommend this wig?? The Wig gets tangled and kinda clumpy if youre sweating in the summer heat.. but i mean what do you expect? 2015-07-16 Courtney .... This has to be the best wig I ever bought my entire life. Not saying that there couldn't be better out there. But this wig is off THE CHAIN! 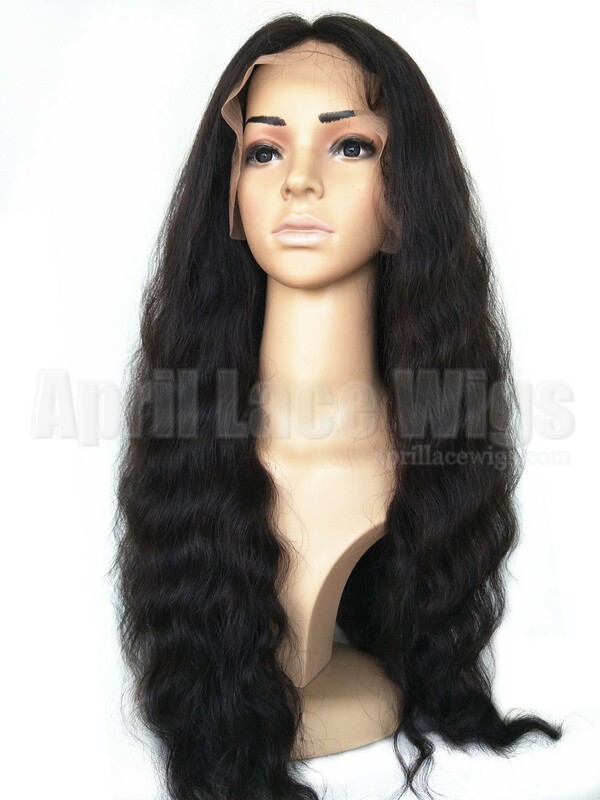 The hair itself is gorgeous and the fullness of the wig...OMG! YASSS! Definitely worth all $444 I paid. 2015-07-09 Celeste .... Gabrielle please keep us updated. I was seriously considering this unit. 2015-07-05 Gabrielle .... 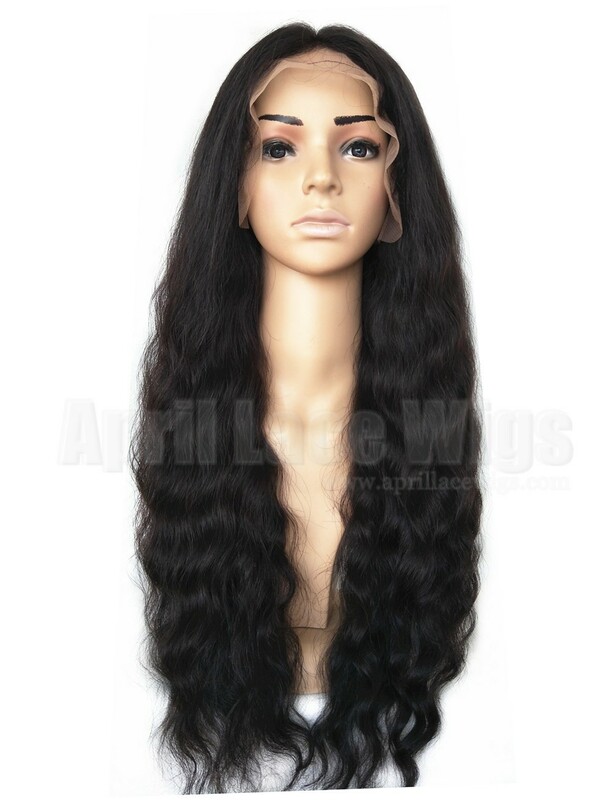 So i just recieved the wig.I'm waiting for a wig grip thing i bought before i cut the lace.I can't decide if i want to take it back.The curl pattern is really wavy THe Ends of the hair look kind of not straightened....It looks natural.... I guess. 2015-06-01 Celeste .... 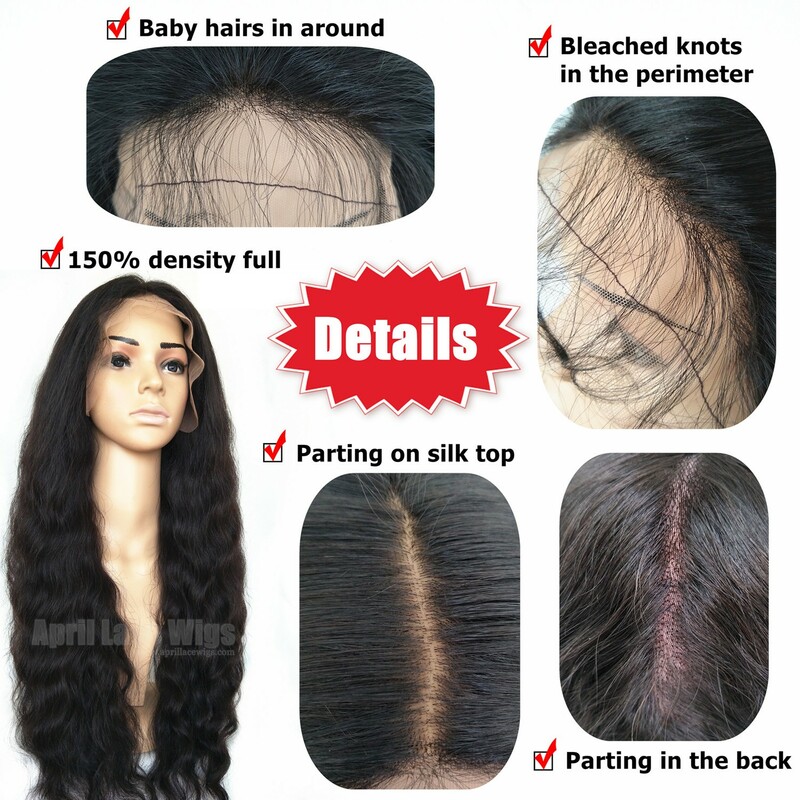 I recently ordered the virgin Brazilian unit - bw0069. I think this will be my next purchase because of the density. It looks amazing in the pictures. 2015-03-03 Tamika .... Absolutely beautiful!!!! I took some strands out where I wanted my part to make a more natural looking part. I also cut and styled her and she looks natural and gorgeous! My only complaint would be the lace. The lace is pretty flimsy. Other than that, I am extremely happy with my purchase! 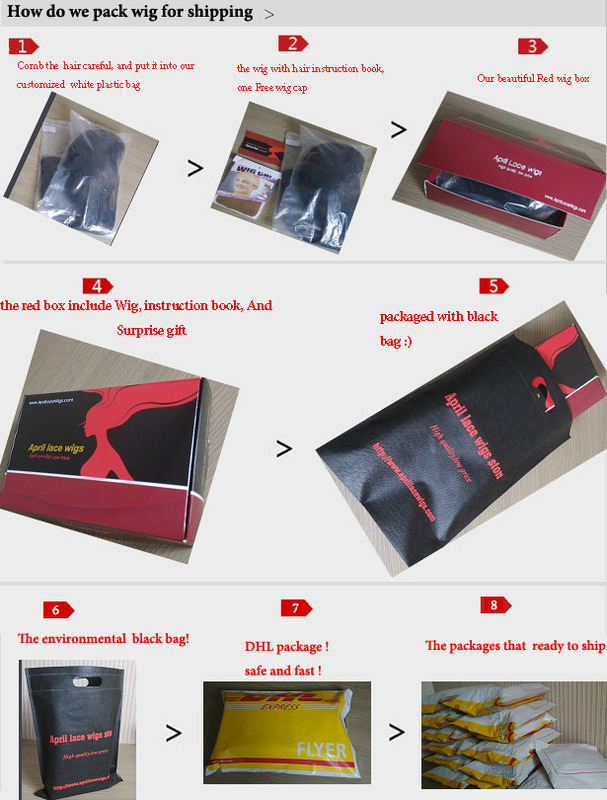 Fast shipping also!!! Thank you!! 2014-12-01 Kym .... Has anyone dyed the hair?? 2014-10-14 Elaynne .... What is the real color ? I only wear jet black . I don't want to go from black to brown. It's hard to tell by the pictures posted. 2014-05-23 Yael .... Just ordered mine!!!!! So excited!!! I'm sure it will be nice!!! Plus rpg would take a month to send this and it would be two hundred dollars more!this was my best choice.will definitely tell you all about it when It comes. 2013-10-31 Chandra .... Does it curl easily or hold a curl? 2013-06-03 Ishna .... This is one of the best wigs I've ever purchased. I own two of lacewigsfront.com wigs and love them both. I will continue ordering from them as long as I continue to get the quality they have sent thus far. Thank you! 2013-05-08 Addie .... After receiving this hair this morning, I knew I had to write an honest review, so here it goes. It will be Broken down into two parts, 1.) service received 2.) hair quality. 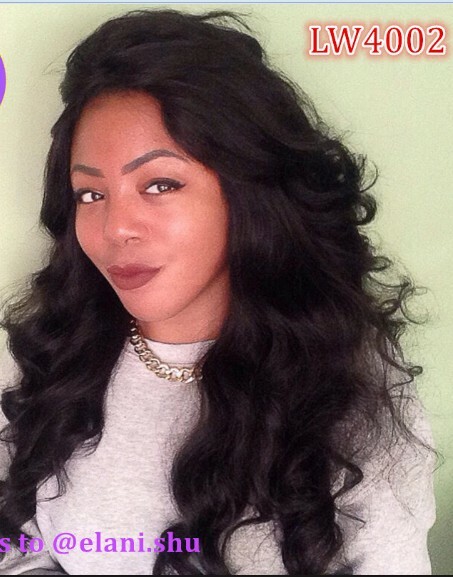 Service : i have been debating whether to get this hair for a couple of months now. Reason being its a bit pricey, plus, its coming all the way from China, and I'm here in the UK. So I decided to go with a UK seller I found on EBay instead. Took 4 days to receive. The unit i received was virgin quality but the cap construction was terrible. I complained to the seller who responded by saying "he didn't beg for my business, the hair is good enough" Wow, I felt terrible. But nevertheless tweaked it and made it work, but it shed a bit. Fast forward to last Saturday when I decided to give lacewigsfront.com April Hair a shot thinking hey, if it doesn't work I can ship it back. Ordered this hair on Saturday and received Wednesday morning. I was sent a DHL link to track my package. I knew exactly where the hair was at every moment. I'm shocked to get a text this morning from DHL that my package was here. Great customer service too, from online chatting with these people. They answered every question to my satisfaction. 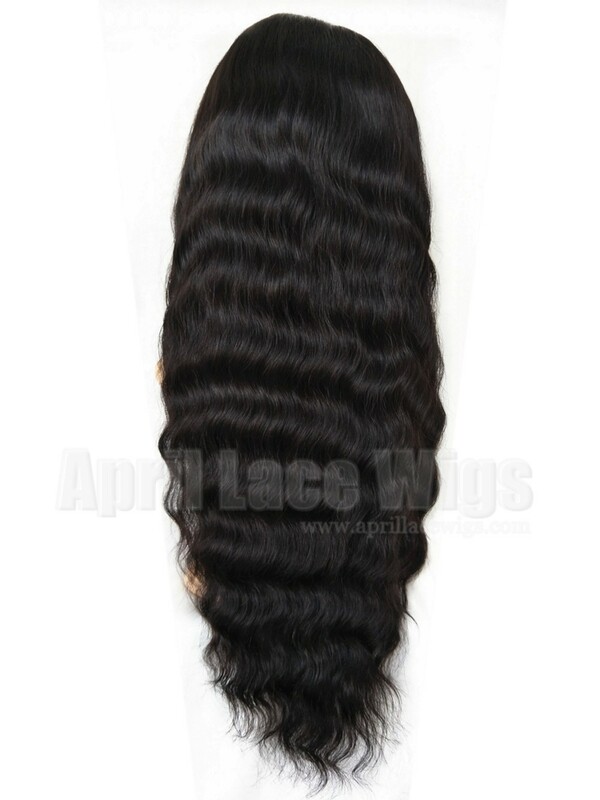 Hair Quality : the unit is simply as described on the website.Very Full density and absolutely gorgeous, gorgeous ! The silk top looks like its growing straight out of my scalp. Wow! I'm still in awe, can't put the unit down. 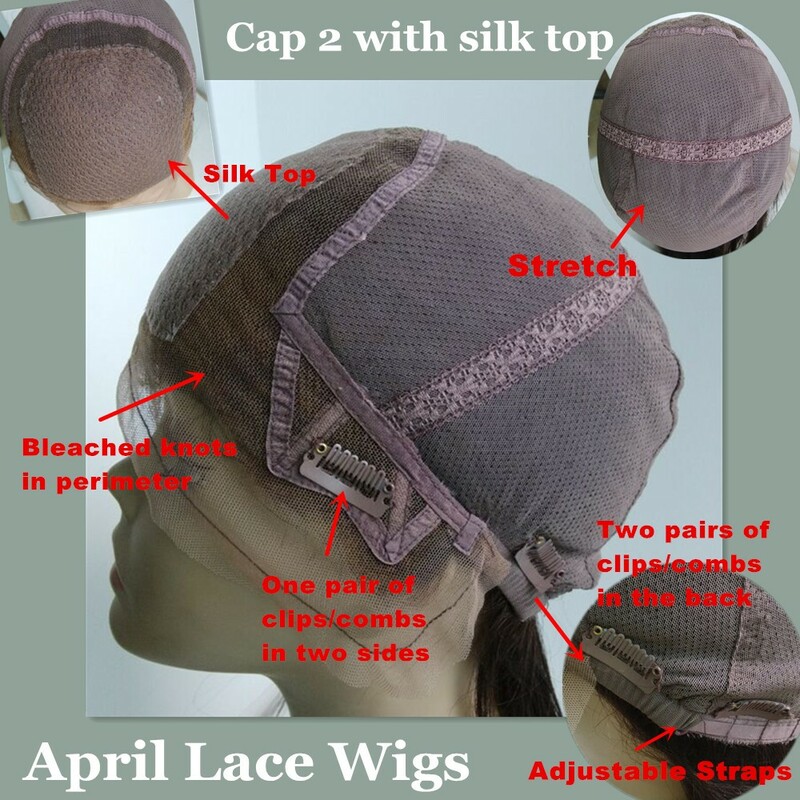 From cap construction to hair quality its fantastic. Exactly what I dreamed of. I will be placing another order by the end of the week, as I can't possibility envision my future without this unit. 2013-04-07 Rhonda .... This unit is worth every penny. 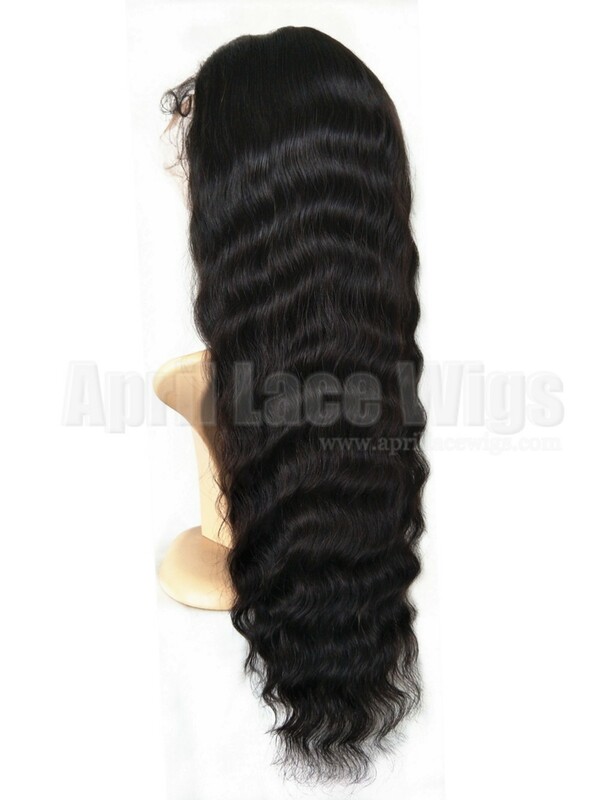 The hair is gorgeous... it's soft and naturally wavy, the density is 150% and thick just like I love. Very, very, very little shedding and then it's only 1 or 2 strains (I haven't sealed my knots yet.) BTW, the knots are bleached. It doesn't tangle or get matted at the nape. The cap I ordered is a large and fits perfectly (natural hair and I don't like to braid it so its in a pressed down fro... LOL). The hair line blends into mine really well. The shipping was really fast... Ordered on March 23 shipped out on March 30th because they had to bleach the knots and received it on April 2nd. Overall, I'm very, very pleased with my purchase and their promptness in answering questions. I would recommend this unit (I have already recommended this unit) and this company to others. 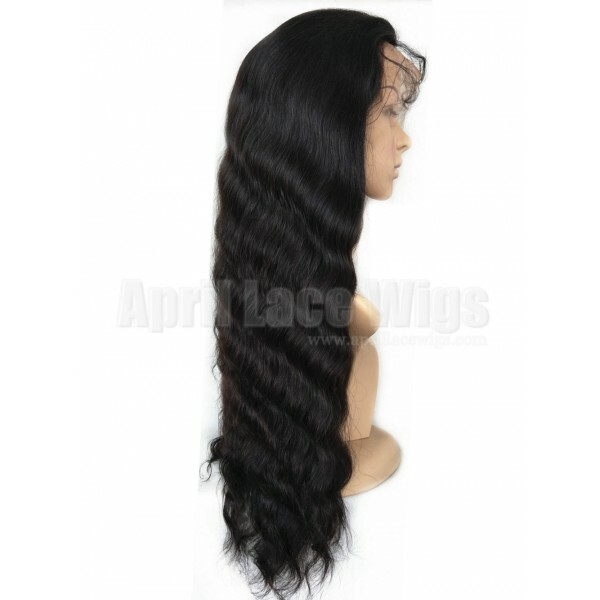 Thanks April and Lace Wigs Front for supplying quality products at reasonable prices. 2012-11-10 georgia .... All I can say is aim more than satisfied with this unit,I love it! How dissatisfied I was,I couldn't believe it! I lost three hundred dollars! THANKYOU for your services.